Looking for easy and delicious recipes to prepare on your George Foreman Grill? You’ve come to the right place. The Foreman Grill is a indoor electric grill that allows you to prepare delicious grilled food with all the flavor of traditional outdoor grilling. Perhaps you thought your George Foreman Grill was only for basic burgers or hot dogs. But you can create delicious meals using a variety of meats and vegetables including tilapia, filet mignon, sirloin steak, asparagus and much more. It’s so much easier than firing up the outdoor grill and dealing with the mess and hassle. You will also free up room in your oven or on the stove top by using the Foreman Grill. The meal ideas are endless. Find easy and delicious recipes for your George Foreman Grill including chicken, steak, burgers, seafood, vegetables, sandwiches and more. If you’ve had that Foreman Grill or other indoor grill sitting around for a while and haven’t used it, it’s time to give it a try. You’ll be amazed at all the great food you can cook and how it can make your mealtimes easier. 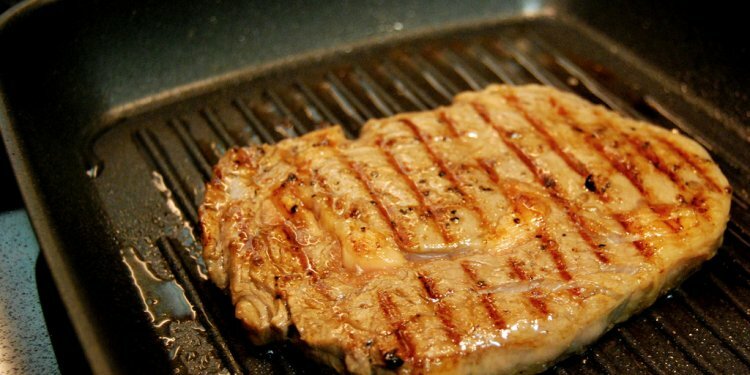 Here’s a steak recipe for your Foreman Grill that you’ll make again and again. It uses simple ingredients, is fast to prepare, and is so juicy and tender you won’t believe it’s not from a fancy restaurant. The garlic butter will make the steak absolutely melt in your mouth with delight. This is a must try! Making delicious quesadillas using your George Foreman Grill could not be easier. This recipe only uses a few ingredients and can be made in just minutes. You can use your own chicken or use the recipe right here on the site for a tasty grilled chicken. Either way, these quesadillas will be the hit of your next gathering! This shrimp recipe is just what the name says – unbelievable! You’ll absolutely love how easy it is to make and with the garlic butter – oh my goodness it will melt in your mouth! This recipe for Easy Grilled Chicken Breast includes all the basics for making boneless skinless chicken breast on your Foreman Grill. Add your own favorite seasonings, herbs and spices and this starter recipe becomes a custom favorite. Serve with sides of your choice for a delicious and quick meal on your Foreman Grill. Tilapia one of the easiest fish dishes to make on your Foreman Grill. This recipe uses the basics for making grilled tilapia. The one exception is the smoked paprika. It’s a wonderful addition and adds a nice smoky flavor that you’d normally get from an outdoor grill. Tilapia is a light, flaky, mild tasting white fish that is nutritious and delicious. Once you try this recipe on your Foreman Grill, you’ll find yourself making it again and again. A big juicy burger is a specialty of many pubs and grills around the world. There’s just something about a pub burger that excites the senses. Making a juicy and delicious pub-style burger on your George Foreman Grill is easy and takes only a few basic ingredients. Here’s an amazing recipe that takes easy grilled pork chops to an all new level. The sweetness of the brown sugar perfectly accentuates the flavors of the pork for a taste explosion! Your Foreman Grill is perfect for making quick and easy grilled chicken tenders. With a few easy steps you can create delicious tenders that are great on their own, in salads, in wraps, or however you’d like to have some delicious grilled chicken. Making steak on your Foreman Grill is both easy and delicious. You can make tender, juicy, and delicious steaks, despite the common misconceptions. Give this easy recipe a try. You won’t be disappointed!